Yes, the Israeli right won the elections. 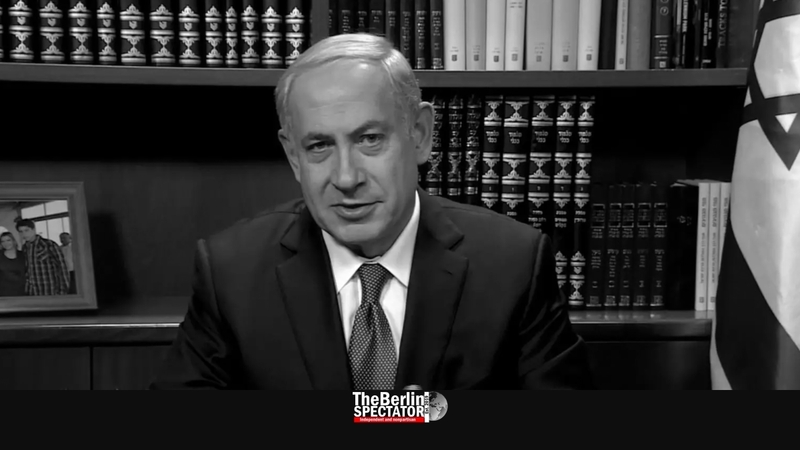 Benjamin Netanyahu, the favorite enemy stereotype of many, is about to form a new coalition. The Israelis favored someone they know and someone who, in the eyes of a majority, stands for security more than the other candidates. But Netanyahu’s victory is also a product of the behavior of those who hate him most. The Palestinian leaders, including Hamas officials and Mahmoud Abbas, still do not recognize Israel. They would rather terrorize, attack and hate the predominantly Jewish state than returning to the negotiating table. They gave Netanyahu part of his victory. Since his political career began, he has been saying they could not be trusted. And they proved him right by choosing the path of hatred, war and terror, instead of the one which could have lead to peace, prosperity for the Palestinians and the creation of their own state. In this explosive situation, with Hamas’ and Abbas’ terror, and the threats from Teheran, Israel chose Netanyahu. Because the victory is not big, it is likely that he would not have won if the situation had not been as explosive as it is. Netanyahu’s victory is also a success of those who spread the loudest complaints about him, often in CAPS, those who call Israel the “aggressor”, the “Apartheid state” and what not, including the BDS movement. Yes, your direct or indirect support for Hamas’ terror contributed to this outcome. You wanted him, you got him. Those Israel haters who are now posting ‘Haaretz’ articles critical of Netanyahu: Do you have any idea what would happen if anyone founded a publication of this kind in Gaza, which would constantly criticize the rulers and their terror friends? Yes, the initiator and the editors would at least the arrested and tortured. This is the system of hate and violence you are supporting. Oh, was there talk about the annexation of the West Bank settlements and a new occupation of Gaza? Well, if one side in a conflict like this one rejects all peace proposals for decades, launches wars and terror campaigns and keeps on brainwashing their own people into hating and wanting to murder even civilians on the other side of the border, there might be consequences. You, or those you support, have turned Gaza into a terror haven since Israel left it. You, or those you support, use the Gaza strip to launch their attacks on Israel. And you are complaining about this kind of talk in Israel? Of course the attacks need to be stopped, one way or another. Regarding the West Bank settlements: You, or those you support, constantly attack Israel. The country wins the 1967 war which had the purpose to wipe it out, and conquers the West Bank because it needs to in order to be able to defend itself against more attacks. Those were actually launched a few years later. Then, after decades of rejected peace proposals, the fact that someone would be talking about annexing the settlements was to be expected. The election victory, this kind of talk: It is all a product of your approach, or the approach of those you support. Once the Arab leaders, who have called themselves Palestinians since the late 1960s, want their state more than they want to hate Israeli Jews, they know what to do. If they want a more moderate Israeli government, they can just do what is right. Unfortunately they won’t. U.S. Ambassador to Germany Blasts Israel Bias at U.N.